All Michiganders know that winter can take a toll on your roof. During the holiday season, the last thing you want to deal with is a damaged roof. Make sure your home’s roofing is well protected by taking precautionary measures and consulting with a roofing contracting company like Weatherhead & Sons as needed. Below are some of the most common issues homeowners experience with their roofs and how you can take action. Ice Dams form when the temperature of your home roof is higher than that of the eaves. As snow melts on the warm roof, the water travels downward towards the eaves. This water freezes as an ice sheet once it reaches the cold eaves, preventing future meltwater from escaping. If the ice dam persists, the water takes the path of least resistance by seeping into your home’s ceilings and walls. Huge icicles can be a sign of insufficient insulation within your home. As a result, icicles can form and put added weight along the edge of the roof, especially on gutters. Gutters fulfill the important purpose of diverting water away from your home. However, icicles can compromise the roof’s structural integrity, causing gutters to tear away. The extra weight of snow, particularly wet snow, can cause similar problems for your roof. Below are a few tips to help you protect your roof from the winter elements. If you notice ice dams on your roof, do NOT try to hack at the ice with a shovel or similar tool. This will only cause more roof damage, especially to the shingles. Responsible homeowners make sure to keep tabs on their roof’s condition, especially during the winter months. If you notice anything suspicious with your roof’s performance, don’t hesitate to give our roofing experts a call. 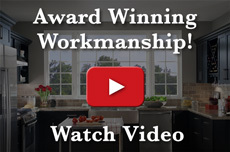 At Weatherhead & Sons, we have years of experience with helping homeowners in the Grand Rapids area. If you suspect your roof has issues that can only be resolved by professionals, please do not hesitate to call our Grand Rapids roofing contractors. We can send out one of our workers to inspect your roof for any damage. If your roof could use repair, we can provide you with an estimate so you can determine the next step. We pride ourselves on offering competitive rates for roofing services. During the winter months, we strongly advise homeowners not to attempt getting on their roof. Snow and ice can make your roof a slippery unsafe surface to walk on. Even when your roof is dry, it’s best to stay on the ground if you lack the proper training or tools. Let the professionals handle your roofing needs, especially during the winter. If you are interested in how we can maintain your roof’s structural integrity, please feel free to call our Grand Rapids office at (616)785-8080. 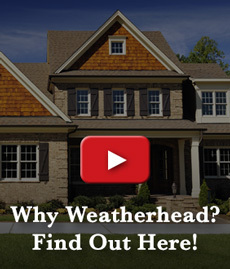 At Weatherhead & Sons, we are proud to help homeowners keep their roofs strong against the winter elements.